As the weather changes, sidewalks at a business can become slick with ice and rain. Business owners are responsible for your safety when on their property and this includes their outdoor areas. They should make sure they are aware of the current weather conditions so that they can take the necessary precautions to ensure that a slip and fall accident in Charlotte, North Carolina, does not occur and cause injuries. If you are at a business and have a slip and fall accident where injuries occur, you have a right to seek compensation for your medical bills and any lost wages during your recovery. You may also be entitled to compensation for your physical pain and mental suffering, as well as the consequences of any permanent impairment or permanent injury. A personal injury attorney in Charlotte, NC, can advise you on your case and help you get the recovery you deserve for your damages. Is a Business Owner Responsible for a Slip and Fall in Charlotte, North Carolina? 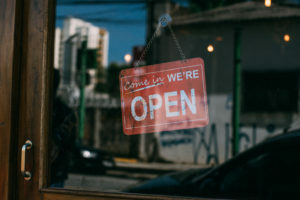 Business owners are responsible for your safety at all times when on their property, whether you are inside of the business shopping or outside on a sidewalk on the owner’s property. You are a guest of the business and under the law, need to be warned of any dangers that could occur when visiting. Seek the compensation you deserve for your slip and fall accident with help from Brown Moore & Associates. Business owners need to make sure their sidewalks and entryways are safe when the weather conditions are poor. Ice and rain can wreak havoc on sidewalks and walkways, making them dangerous to walk on. A business owner needs to take care of these outdoor areas just like they would an inside area. They need to spread salt or sand to improve traction and make sure you are aware that the area is slick. Under the law, if a business owner is aware that the weather conditions are creating unsafe conditions on their property, or if they should have known, they are at fault for any resulting slip and fall accident. Be sure to talk to a personal injury attorney in Charlotte, North Carolina, about your case and get the legal guidance you need to settle your suit. Never accept a settlement agreement without first speaking to a Charlotte personal injury attorney. Insurance companies are known for offering low award settlements for slip and fall accidents in Charlotte, North Carolina. Oftentimes, the initial award will not cover the full extent of your injuries and the cost of your recovery now and into the future. An experienced personal injury attorney can fight to get you a settlement that is fair for your injuries. How Do I Prove a Slip and Fall Accident in Charlotte, NC? When you have a slip and fall accident in Charlotte, North Carolina, you need to seek medical attention quickly to make sure you are alright. Your injuries need treatment and your health should come before anything else. After a slip and fall happens, you need to document the cause of the accident. You can easily use your cell phone to take a picture of the icy or slippery sidewalk conditions. This can work to prove the negligence of the property owner that did not take the proper care to ensure your safety. You will also want to talk to witnesses that saw the slip and fall and get their contact information. They can prove valuable in your personal injury case and testify to the condition of the sidewalk at the time of your accident. Talk to a personal injury attorney in Charlotte, NC, immediately following your accident. They can determine if you have a personal injury case and work to negotiate a settlement for your injuries. Do I Need a Personal Injury Attorney for My Charlotte Slip and Fall Accident? Working with a personal injury attorney in Charlotte, North Carolina, can ensure you receive the maximum financial recovery for your injuries. They will negotiate with insurance companies on your behalf and allow you to focus on recovering from your injuries. If your case goes to court, your Charlotte personal injury attorney will represent you before the judge and jury, and work to establish fault in your slip and fall accident. You will receive compensation for your injuries and be able to move forward with your life without worrying about how you are going to pay your medical bills or recoup the lost wages you missed out on due to your recovery. If a slip and fall in Charlotte, NC, is not your fault, you may deserve compensation for your injuries. A skilled personal injury attorney can help you receive full and fair compensation for your damages according to the law. When you have a slip and fall in Charlotte, North Carolina, you need the assistance of a lawyer quick. The personal injury attorneys at Brown Moore & Associates, PLLC can help. They can advise you on your legal rights when injured and fight to get you the compensation you deserve. Contact us today to inquire about setting up a consultation.